Truck accidents are very serious occurrences that often lead to catastrophic injury. This is especially true when the collision occurs on the free way at high speed. In the event that you or a close family member or friend has been injured in a collision with a truck, it can be the injury is probably significant and the stress level extremely high for all concerned. Generally, emergency medical care is necessary and the road of rehabilitation to recovery a long one. When the collision results from the neglect of the driver of the truck, you and your family members have the right to file a legal action against the person or entity whose neglect caused the incident. To obtain the best recovery for the sustained injuries, it is very important to retain a litigation attorney who has experience with truck accident injury cases. If you are looking for a legal professional in Orange California, you should speak with local truck injury lawyer Alexander D. Napolin. He will provide you and your family with the vigorous representation that is required to receive maximum recovery on your claim, starting with a free and confidential legal consultation. When you call us at 1 (714) 265-7526, Mr. Napolin will come to the phone to discuss your legal situation and provide guidance with intelligent answers to your questions. Or, if you prefer, you can schedule an appointment to come in and meet directly with our team in person. Medical Expenses – Compensation for current, ongoing and future medical expenses directly resulting from the injury. This includes all costs relating to hospital care, doctor’s care, rehabilitative care, physical therapy, home health aides, required medical equipment, and prescription medications. Lost Wages – Compensation for all present and future lost wages due to the injuries suffered. Pain & Suffering – These damages are for all pain and suffering, including physical pain and mental anguish. Property Damage – If any personal property has been damaged or destroyed as the result of your accident, monetary compensation will be provided to cover the cost of repair or replacement. Loss of Consortium – These damages are payable to the spouse of a victim to compensate for the loss of love, companionship and affection stemming from the injuries. Punitive Damages – These damages are available under limited circumstances, and are designed to punish the wrongdoer for their outrageous and egregious conduct. Obtain Help From An Orange California Truck Accident Injury Lawyer Today! We are available to prospective clients for free legal consults that come with absolutely no obligation to hire us or to file a lawsuit. We make ourselves available for free because we knows that many people need to obtain some preliminary advice before they decide to retain an attorney or which lawyer to hire. 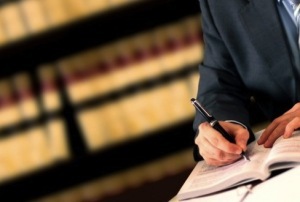 If you are in need of legal advice, you can get a hold of Mr. Napolin by calling 1 (714) 265-7526 or by submitting a case evaluation form at www.AutoAccidentLawyerOC.com, and Mr. Napolin will personally call you. Napolin Law Firm provides strong representation and tested legal counsel to its clients involved in auto collisions, car collisions, truck collisions, motorcycle crashes, and most other injuries involving motor vehicles. Get a strong voice fighting for your recovery! Get Mr. Napolin on the phone today! If he is not available when you call, he will personally give you a call back promptly. Alexander D. Napolin, Esq. is an Orange California truck accident injury lawyer who is interested in learning about your situation and providing the strong advocacy, litigation tactics and the the individualized attention that your case deserves!